Behind the font and white space in every book lies a lot of decisions, conventions, and reader expectations. We know what readers expect, and which designs and conventions please the eye and accommodate full immersion in your work. Our designers have developed font and layout combinations that prioritize readability and attractive typography, and will work with you to find the right design for your work. Unbalanced margins that don’t create a perfect ‘rectangle’ of text. Page numbers and running headers that shift their position from page to page. Overly wide or narrow gaps between sections of text. Inconsistently sized hyphenation and uneven spacing around ellipses. A good print book formatting service turns a difficult, uncertain job into a simple, stress-free success. 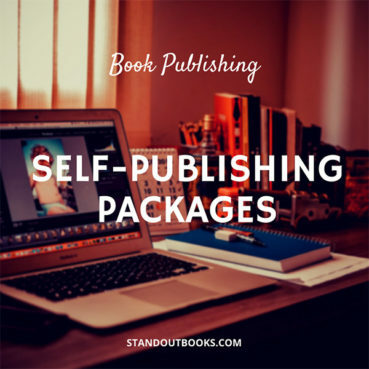 That’s why we guarantee professional-quality formatting that’s indistinguishable from the traditional publishing process. Our designers work by hand, giving each page individual attention – we don’t automate our service, and we don’t make silly mistakes. Publishing can be a confusing, frustrating endeavor that produces mixed results, but that doesn’t have to be the case with your formatting. Once our work is complete, you’re guaranteed a perfectly presented file, ready to print from the moment you receive it. If you’d like to know more about our print book formatting service then click over to our Frequently Asked Questions, or contact us here today. What will I receive from this service? 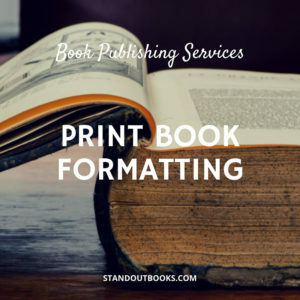 Our print formatting service takes your original manuscript and converts it into a print-ready file that can be used directly by print book publishing services such as CreateSpace and IngramSpark. This includes formatting of elements such as typography and pagination so that they are consistent both throughout the document and with industry standards. How much choice will I have? Great formatting is about making your work look attractive and easy to read. That means that there are set parameters for what will work and what will confuse or distract readers. Our designers will work within those parameters, offering you a range of typographical choices to find the perfect fit for your work. Your choice is final, and you’ll be shown a sample of the work before your formatting is applied to the entire document. What isn’t included in this service? Our print formatting service is intended for use with a complete, error-free manuscript and does not include any editorial input. No adjustments will be made to spelling or grammar, and any amendments requested during the process can only be done at extra cost. 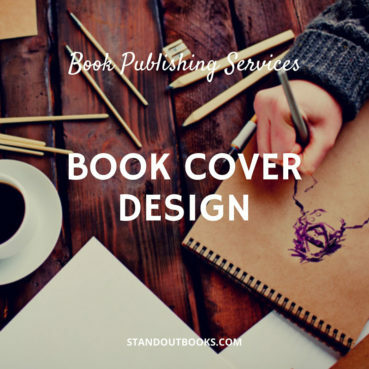 This service does not involve the creation of new content such as a blurb or book cover. Do you format long manuscripts? On average, print book formatting takes two weeks from submission, but this is dependent on the size and nature of the manuscript. To begin the print book formatting process, you’ll need the final, edited copy of your manuscript. Please ensure that this is free of any errors, as well as any comments or tracked changes made via Microsoft Word. Please will you also send any front and back matter you’d like included in the book. For example, a copyright page, an acknowledgements page, dedications, quotes, etc. Can I just do this myself? If you want to do your interior formatting yourself then we recommend using a template for Microsoft Word. This ensures that you don’t run into any problems when you upload to your printer. Click here to visit our recommended interior template provider. 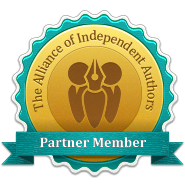 Please click START at the top of this page to discuss your project with an author support specialist. This was my first time writing a book, and I had a very good experience with Standout Books. Euan did a great job of exceeding my expectations. 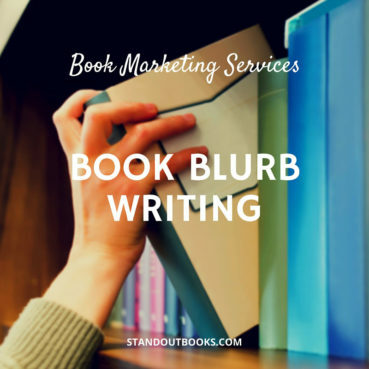 I will definitely be using them again in the future, and if you are debating using them for your book formatting, I’m sure you will not be disappointed. My book is now on Amazon in print and Ebook versions, and I feel great about the final product. It looks very professional! Loved working with Euan and Bronwyn on my book! 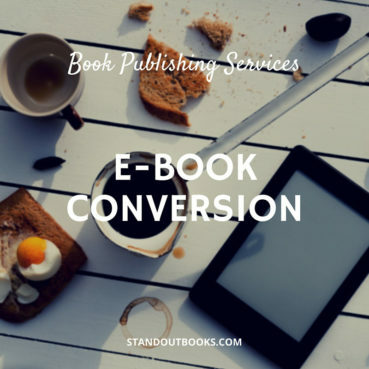 it was a great, efficient and very collaborative process and the results (book formatting for my e-book and the printed book) were absolutely amazing! they both were true professionals and a really great team. definitely return to them with my next book.